Contribution to the Poster Contest 2009 of the CreateBerlin Design association. 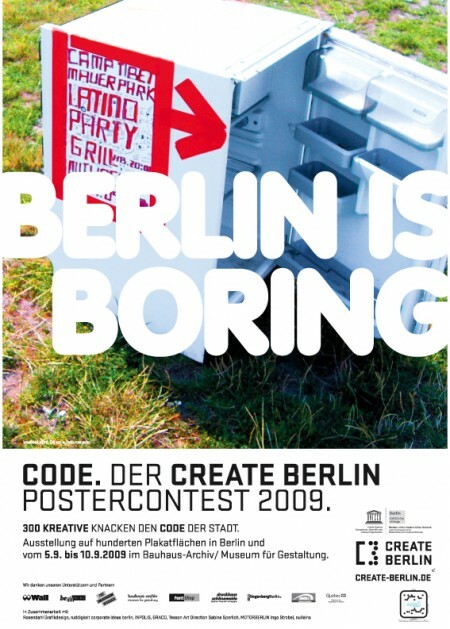 Not a first price, but posters all over the town and some nice slides at Bauhaus-Archiv. 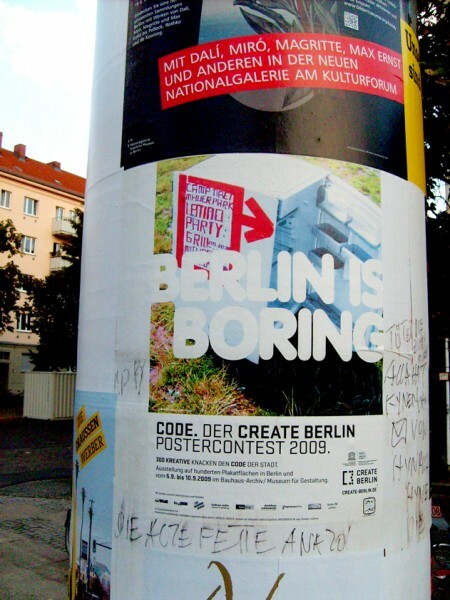 Berlin is not this boring!